This series of templates is specifically designed to promote on Instagram your events and parties in the darkest night of the year. The templates feature a special glitch effect just drop your image in and it will happen. Images and videos are included in the download. Colours, images and texts are super easy to customise accordingly to your brand image. The designs include: Animated Photo Backgrounds, Animated Text & Buttons, 10 PNG + AI custom designed Occult Symbols. File format: .jpg, .ai, .png, .psd for Photoshop or other software. 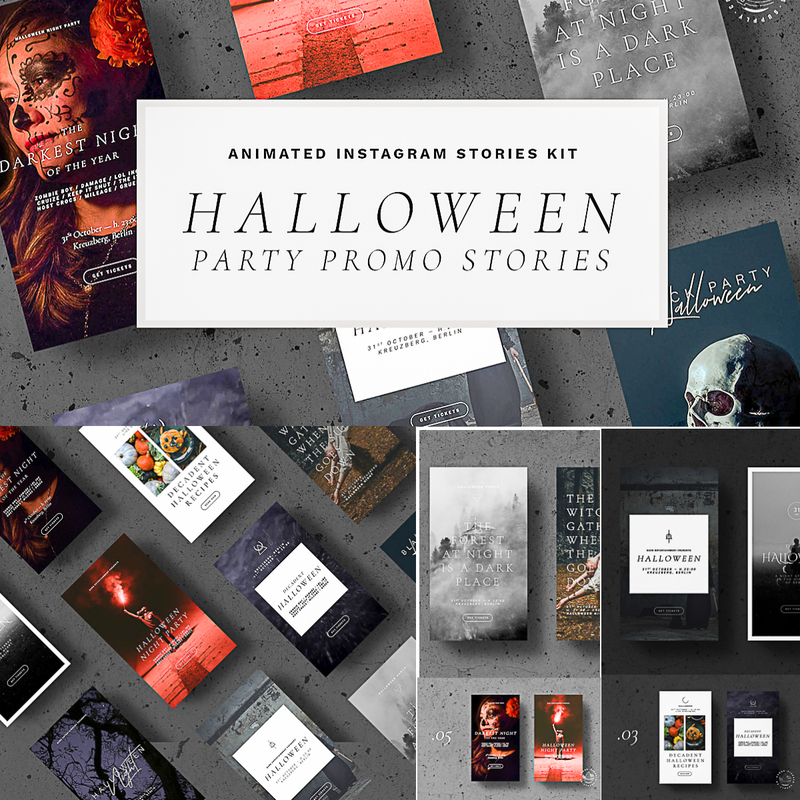 Tags: animation, brand, dark, glitch, Halloween, instagram, instagram stories, occult, photo, social media.